Hendershot’s has a profound ability to make anyone feel right at home. Something is always happening here, and yet studying or doing freelance work or even socializing can all be done without any distraction. It's quite easy to post up with a good book and relax on the wide selection of comfy furniture that looks like it came from your grandmother’s garage sale. And whether you're hanging out with beers on the patio, enjoying lunch after a long bike ride, doing work on your laptop, or listening to live music at night, Hendershot's always serves up a homey atmosphere for all. 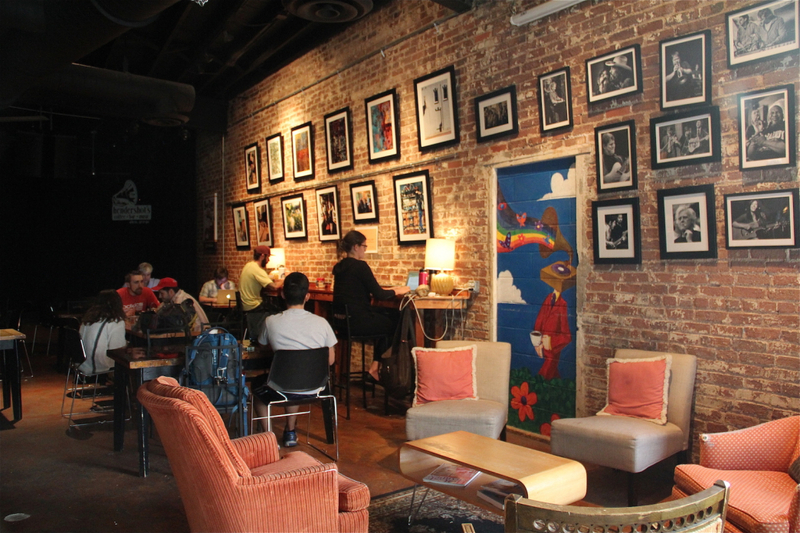 The music is pleasant, never too loud, there is plenty of parking out back, and exceptionally fast Wifi inside. 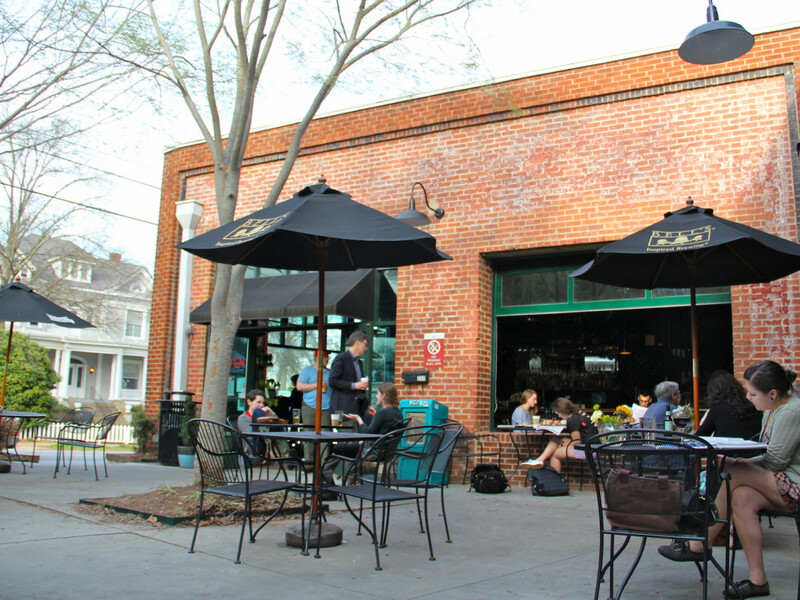 Located in close proximity to downtown Athens, Normaltown, and the UGA campus, Hendershot’s is an excellent place to meet up with folks for a cup of coffee. If you purchase a cappuccino the baristas are sure to make charming leaf designs in the foam. And the patient and easygoing servers only add to the down-to-earth atmosphere. Oftentimes you’ll see locals bike up to Hendershot’s and enjoy their daily fix. On offering is a delicious Sunday brunch, refreshing salads, sandwiches, burgers, and several sides. In the counter fridge you’ll often find house-made breads, pickles, cottage cheese, muffins, truffles and other chocolate treats. Hendershot’s is also making moves toward a larger selection of vegan options. And if adult beverages are what you’re craving, you can select from a suitable range of craft beer draughts and bottles for under $6, wine, cocktails, and spiked coffee elixirs. Athens’ Jittery Joe’s Coffee Roaster, located just down the street from the café, supplies Hendershot’s with their coffee. Jittery Joe’s and Hendershot’s have created signature blends called “45” and “78” that are only located at the café. They’re named after vinyl record speeds, an inspiration from Seth Hendershot himself who is a local musician. At night, Hendershot’s is guaranteed to have an event happening well into the evening, providing a reassuring reminder that there is always something happening in Athens. Be aware that during some of these events the coffee bar will be louder and will sometimes have a small admissions fee in order to support the bands and artists, but all of these events are a great way to socialize and enjoy informal, small-scale shows. Whether it's Thursday jazz night collaborations, open mic night Mondays, comedy acts, indie rock or Americana folk shows, they're always a good time. 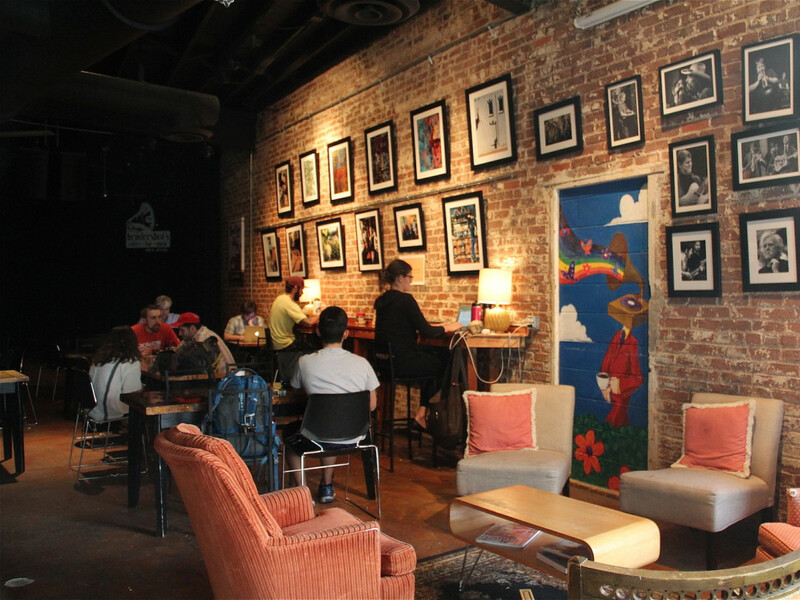 Hendershot’s is a great place to start the day with a cup of coffee, take a break between the afternoon hustle and bustle, and end the night with new and old friends. The café is open Mon-Thurs 6:30a-11p, Fri 6:30a-12a, Sat 7:30a-12a, and Sun 7:30a-10p.